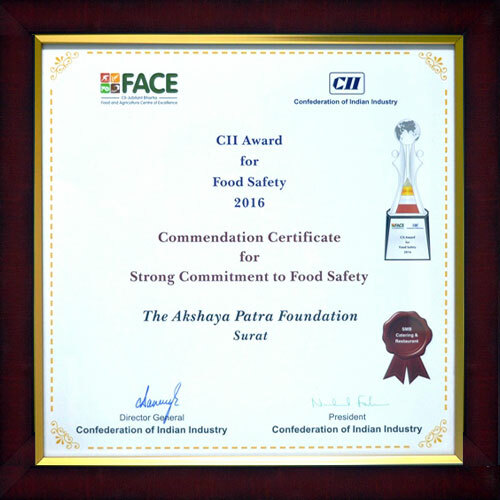 The Akshaya Patra Foundation’s Surat kitchen is honoured to have received the Confederation of Indian Industry (CII) Award for Food Safety 2016. The kitchen received this award under the recognition level ‘Commendation for Strong Commitment to Excel in Food Safety’ in the category ‘Small & Medium Food Service – Catering & Restaurant’. 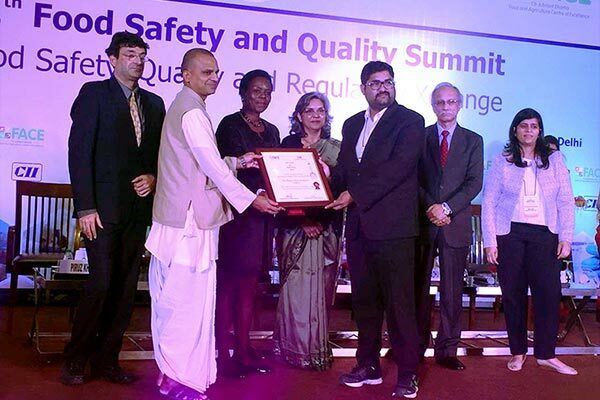 The award was handed out on December 6, 2016 at The Lalit New Delhi hotel. The Foundation’s Vadodara kitchen, meanwhile, received a Letter of Appreciation for Commendable Effort on Food Safety at the ceremony. 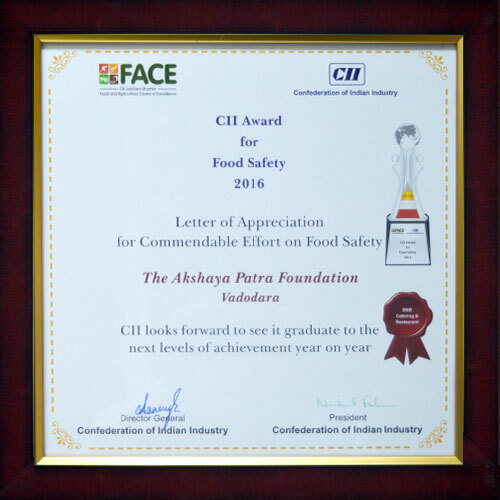 The CII Award for Food Safety aims to raise awareness, promote Food Safety Practices and recognise role models to elevate Indian food companies to world class levels. The assessment criteria for these companies in micro, small, medium and large scale categories, which are involved in production and service of food products, are based on national and international standards of Food Safety Systems and have been customised keeping in mind the nature of business, size, sector, structure and maturity levels.